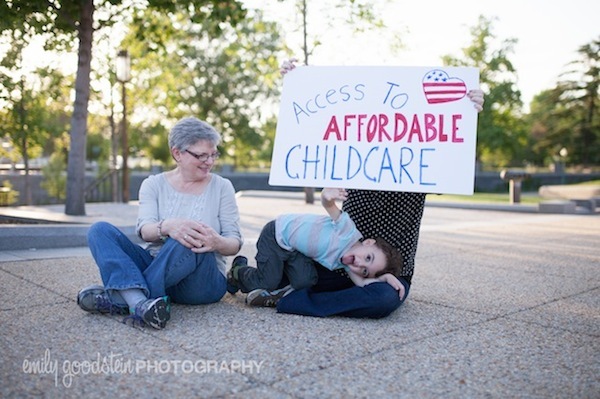 MomsRising.org | Tell us your #Movement4Childcare experience! Tell us your #Movement4Childcare experience! To build momentum nationally for childcare we need families (like yours!) to share their experiences in order to show our leaders that high-quality, affordable childcare is a priority for their constituents. Are you struggling or did you struggle to afford high-quality childcare? Do you/did you love your kid's childcare? Are you a care provider who isn't earning a livable wage? Did you leave the profession because of low wages? Did you/do you work in childcare and find yourself unable to send your child to the same childcare because of the cost? Did you/did you have trouble finding a childcare program that works for your family? Did someone in your family have to quit their job because childcare was too expensive or not available? Tell us about it by filling out the form below and we'll share your experience directly with leaders! The good, the bad, the complicated - we want to hear it! Personal experiences are powerful and can make a HUGE difference in helping elected leaders understand why supporting access to high-quality, affordable childcare is so important. Tell us your childcare thoughts and experiences below! Feel free to check multiple boxes.